Your internship is tailored to you. In our full-programme, you can mix areas of focus to really turbo charge your CV. We will ensure that you are 100% satisfied when you're here or will change your placement. Internships are offered on a voluntary basis due to SA labour laws. Programme fee as low as £695. There is no maximum duration and you don't pay extra to stay longer. You're just a few clicks away from your dream internship in Cape Town! Unique placements in South Africa for 's students & grads. Everyone is totally unique with different needs. Some people want everything and the kitchen sink, some people just want the bare minimum. That's why we have two choices of programme to give you more control. We're a young organisation with an experienced team that has delivered over 300 internships in Cape Town already. We believe that we offer the greatest level of support you'll find among any of Cape Town's internship providers. 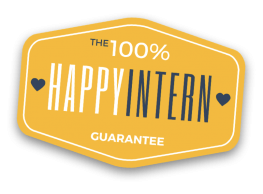 Everything we do is backed by our unique guarantee, which promises you a no questions-asked refund if we can't deliver your perfect internship. Some providers charge you more if you want to stay longer, but we don't want to limit your experience of Cape Town - so with our programmes you can stay as long as you want and not pay a penny more. Your internships = as unique as you! Take advantage of our industry leading skills-mix feature to enable you to craft an internship that stretches you in every way you want. Power up your CV with a broader range of skills across multiple organisations. © 2016 - Bridging Gaps. All Rights Reserved.